Plies are layers of rubber-coated parallel cords. Cords are the strands which form the plies in a tire. A radial tire has “radial” on the sidewall. 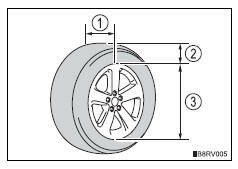 A tire not marked “radial” is a bias-ply tire. A tubeless tire does not have a tube and air is directly put into the tire. A tube type tire has a tube inside the tire and the tube maintains the air pressure. This means the pressure to which a tire may be inflated. 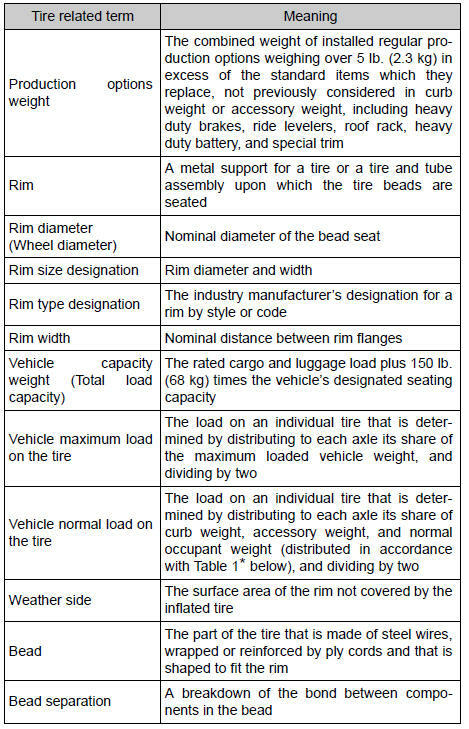 For details, see “uniform tire quality grading” that follows. An all season tire has “m+s” on the sidewall. A tire not marked “m+s” is a summer tire. 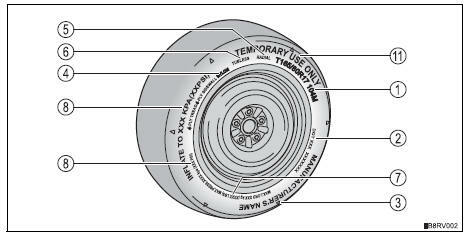 A compact spare tire is identified by the phrase “temporary use only” molded on its sidewall. This tire is designed for temporary emergency use only. *: The dot symbol certifies that the tire conforms to applicable federal motor vehicle safety standards. 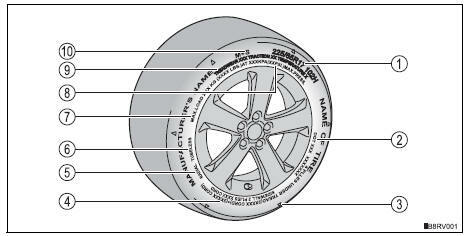 The illustration indicates typical tire size. 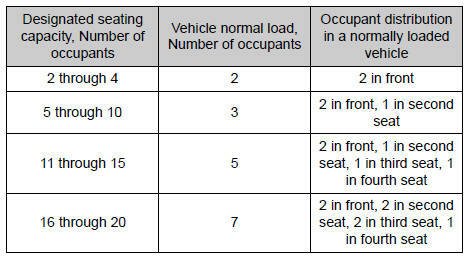 This information has been prepared in accordance with regulations issued by the national highway traffic safety administration of the u.S. Department of transportation. It provides the purchasers and/or prospective purchasers of toyota vehicles with information on uniform tire quality grading. Your toyota dealer will help answer any questions you may have as you read this information. 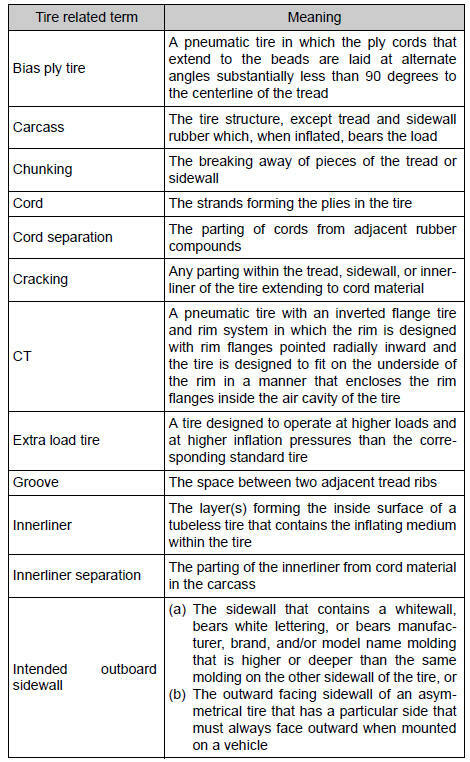 All passenger vehicle tires must conform to federal safety requirements in addition to these grades. 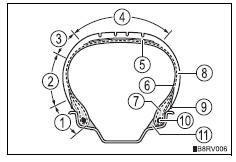 Quality grades can be found where applicable on the tire sidewall between tread shoulder and maximum section width. 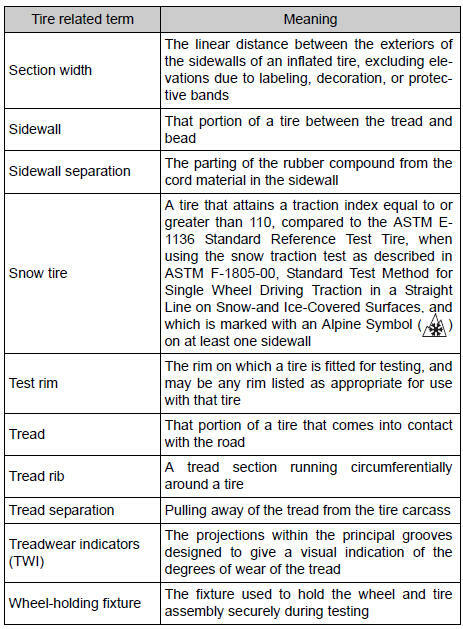 The treadwear grade is a comparative rating based on the wear rate of the tire when tested under controlled conditions on a specified government test course. For example, a tire graded 150 would wear one and a half (1 - 1/2) times as well on the government course as a tire graded 100. The relative performance of tires depends upon the actual conditions of their use. Performance may differ significantly from the norm due to variations in driving habits, service practices and differences in road characteristics and climate. 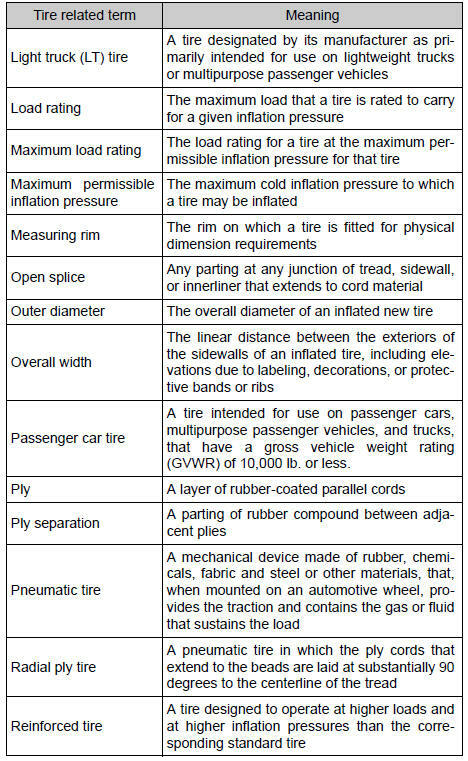 The traction grades, from highest to lowest, are aa, a, b and c, and they represent the tire’s ability to stop on wet pavement as measured under controlled conditions on specified government test surfaces of asphalt and concrete. Warning: the traction grade assigned to this tire is based on braking (straight ahead) traction tests and does not include cornering (turning) traction. Sustained high temperature can cause the material of the tire to degenerate and reduce tire life, and excessive temperature can lead to sudden tire failure. Grade c corresponds to a level of performance which all passenger car tires must meet under the federal motor vehicle safety standard no. 109. Grades b and a represent higher levels of performance on the laboratory test wheel than the minimum required by law. 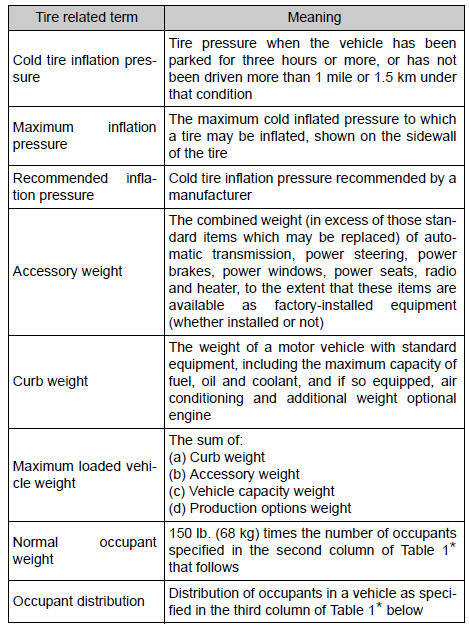 Warning: the temperature grades of a tire assume that it is properly inflated and not overloaded. Excessive speed, underinflation, or excessive loading, either separately or in combination, can cause heat buildup and possible tire failure.